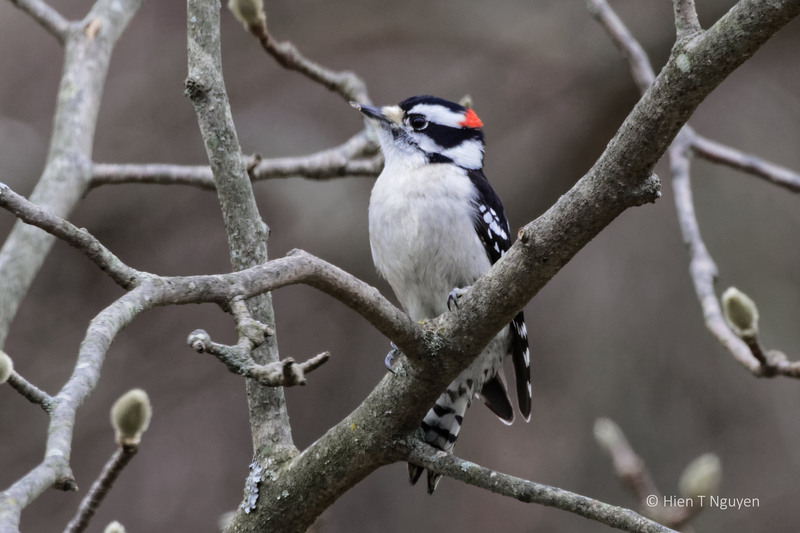 The Downy Woodpecker is a bird that we often see in our backyard, competing with other small birds for sunflower seeds form the bird feeder. It does not eat peanuts, perhaps because those are too big for their beak. 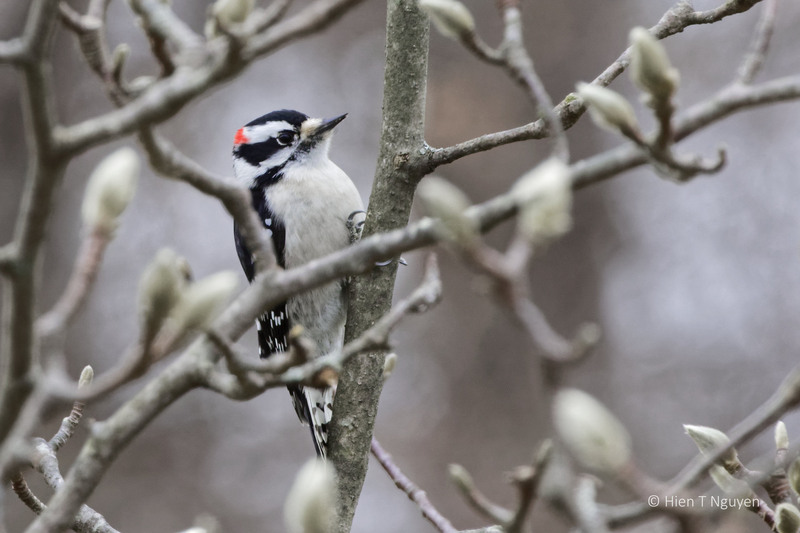 In the spring and summer, it can be heard drumming against wood, whether on trees or on our house trims! Today one of them, a male, lingered among the magnolia branches for a minute or so, allowing me to capture it in the following photos. 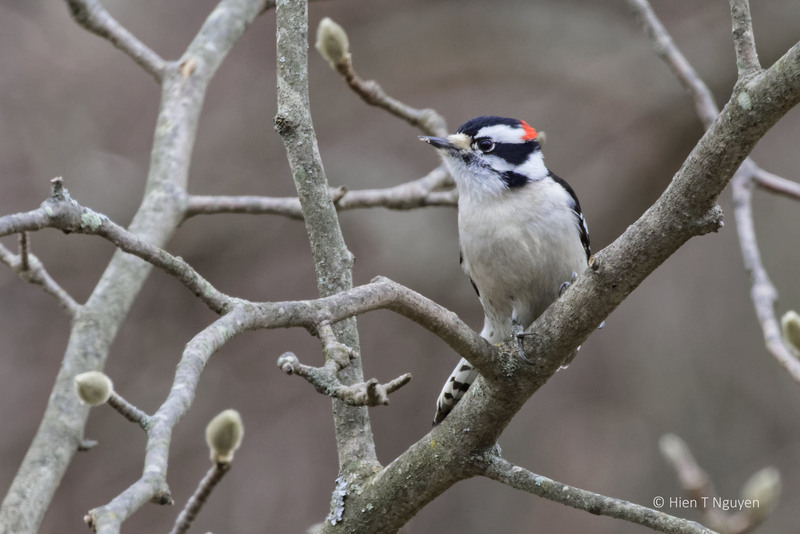 They are such perky and fun to watch birds, it was nice to see your wonderful photos of one! Thank you so much Jerry. Still trying out my new lens, but so far it has lived up to expectations. 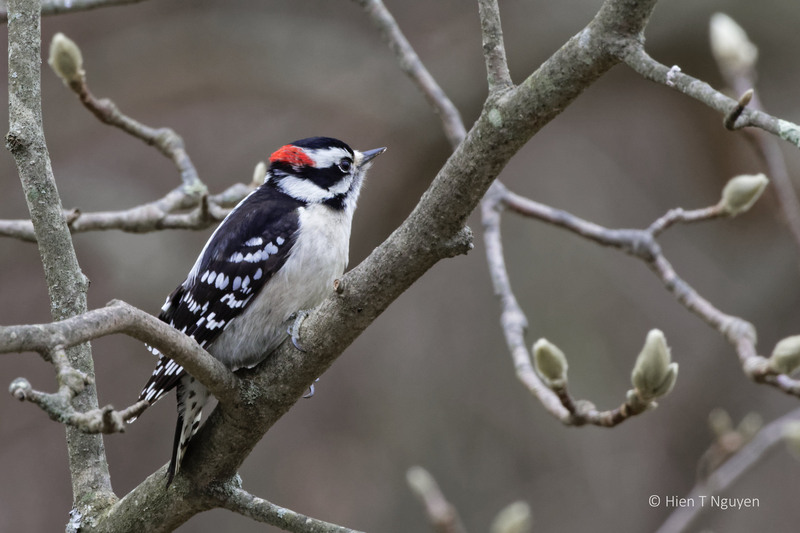 Beautiful photos of the Downy. I have a Downy family in my small garden. They are cute and regular feeder birds. Thank you Donna! Are they perhaps becoming dependent on humans? Great set Hien, I don’t recall seeing any Downy since I have been out west , I miss seeing them. Thanks John. Maybe you will come back here some day and see them. Ha! I do love your captions, Hien. I am so sure that is exactly what he was thinking! Bird whisperer? Thank you Lois. Very fine, the magnolia makes a great backdrop. Indeed, that tree does double duty as a provider of yellow magnolias, and as a perch for the birds. Thank you Eliza! Ooh, yellow, it must be so beautiful when it blooms. All those buds you see now will become flowers, unless we get a sudden frost. You were, and we are, lucky he decided to linger…and you didn’t waste a second 🙂 Great shots! Fantastic he lingered for you just long enough to capture these, so beautiful! Thank you Donna! 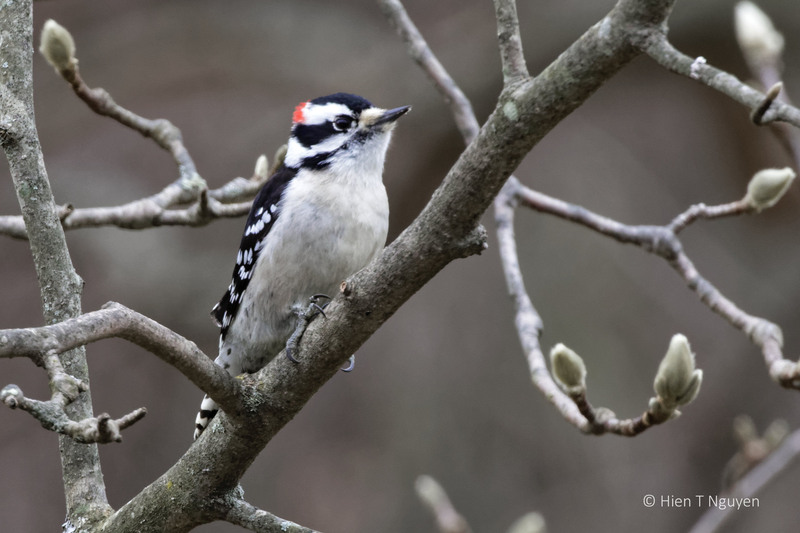 Downy Woodpeckers seem to like the magnolia tree, perhaps because it is close to the bird feeder. That has given me many opportunities to capture them like in these photos.